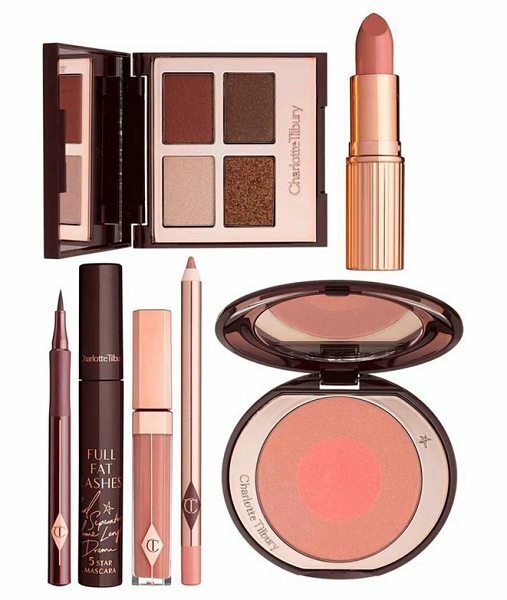 Re-create The Dolce Vita look with ease thanks to a fabulous set of products by Charlotte Tilbury tucked inside a complimentary makeup bag printed with kisses taken from some of the most iconic women in fashion. Set includes:- Luxury Eyeshadow Palette in The Dolce Vita- Feline Flick Eyeliner in Panther- Full Fat Lashes Mascara in Glossy Black- Cheek to Chic Blush in Ecstasy- Lip Cheat Lip Liner in Pillowtalk- K.I.S.S.I.N.G Lipstick in Penelope Pink- Lip Lustre Lip Gloss in Seduction- Makeup bag Brand: Charlotte Tilbury. Style Name: Charlotte Tilbury 'The Dolce Vita' Set ($246 Value). Style Number: 853677. Available in stores.